As the longest strike in Screen Actors Guild history chugs on, video game voice actors are making painful career sacrifices to show solidarity with their union. 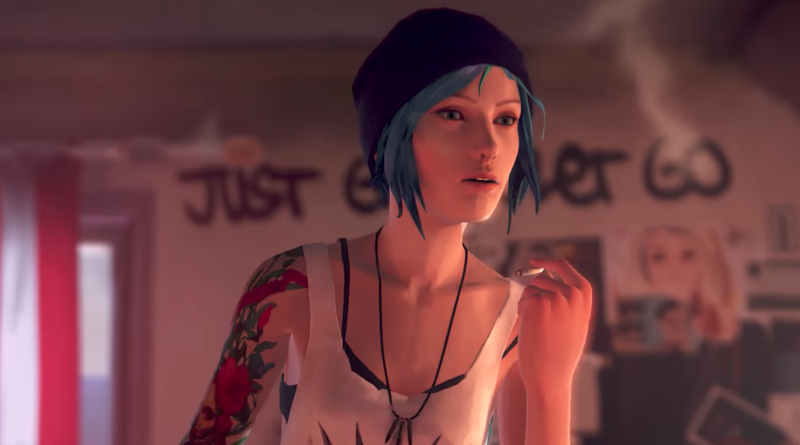 234 days into the strike, after Microsoft announced Life Is Strange: Before The Storm, fans immediately sussed out that award-winning voice actress and SAG-AFTRA member Ashly Burch will not reprise her original role as the rebellious teen Chloe. Shortly after Microsoft’s E3 presentation, Burch, who has voiced Aloy in Horizon Zero Dawn and Tiny Tina in Borderlands 2, said that Square Enix had decided to go with a non-union actress. “I’m pretty heartbroken,” Burch told Kotaku. “It feels sort of like you were forced to put your kid up for adoption.” Burch’s performance as Chloe in the original Life Is Strange earned her the “Best Gaming Performance” award at 2015’s Golden Joystick Awards. She will stay on the prequel project as a writer and consultant. In October 2015, SAG-AFTRA members voted to strike strike against 11 video game companies, including EA, Activision and Take 2. Video game voice actors comprise a large part of the union and since early 2015, several had been in negotiations with games companies over better compensation. “Nobody becomes an actor in order to not act,” Phil LaMarr, who sits on SAG-AFTRA’s interactive negotiating committee, told Kotaku. LaMarr, an experienced film, television and voice actor, had voiced Aquaman for Injustice 2prior to the strike (Warner Bros. Interactive Entertainment is one of the publishers that SAG-AFTRA is currently striking). LaMarr said he is disappointed that, if negotiations remain on hold, he wouldn’t be able to reprise the role if there’s DLC or future Injustice games. Primarily, these voice actors want residuals—post-release payments dependent on game sales. The strain placed on voice actors’ voices when characters die, are injured or run screaming into battle seriously impacts their well-being, SAG-AFTRA has argued. That, and the fact that game publishers’ desire for absolute secrecy often leads them to obscure what game voice actors are even working on, can make these gigs particularly tough, the union says. Since the strike began, SAG-AFTRA has signed agreements with over 30 game companies covering over 40 games. No voice actors have broken the strike. So when Burch was approached by Square Enix about voicing Chloe in the just-announced Life Is Strange prequel, she had to make a difficult decision. Burch feels that SAG-AFTRA’s demands are reasonable, not just for her and her colleagues, but for up-and-coming voice actors, too. The strike persists, she said, so SAG-AFTRA can ensure that anyone involved in the industry will be safeguarded. Burch isn’t the only voice actress to report some bad strike-related news during E3. Canadian voice actress Alyson Court, who has played Resident Evil’s Claire Redfield throughout five of the game’s iterations, posted a YouTube video on Monday explaining that she would not be returning for Resident Evil 2’s newly-announced remake, although she featured in the original. Court said the producer for RE2’s remake did reach out about a year and a half ago, but later, she said she was informed that the role would go to a non-union voice actress. Court is not a member of SAG-AFTRA, but Canada’s ACTRA, which, in solidarity with US union actors, is also refusing struck work. Capcom declined to comment to Kotaku for this story.